Application for an OLDER DOG to be listed with the GSDCV Inc. Complete this form for convenient online submission of your Puppy Listing (Older Dog) Application Form. A hard copy of this form for posting is still available here if you prefer. Once received and verified, your dogs details will be placed onto the GSDCV Puppy Listings page. List the microchip numbers for dog. This is a government requirement. I declare that this application complies with the requirements of the Puppy Listings Regulations (1) Both sire and dam were classified at Breed Survey PRIOR to the mating taking place. (2) In every respect relative to this litter I will comply with the requirements of all Dogs Victoria, GSDCV and GSDCA Codes of Ethics, Codes of Practice, and Breeding Guidelines. 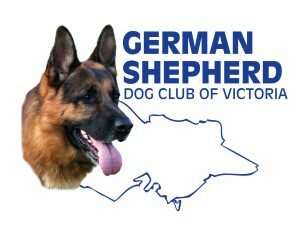 (3) I agree to my kennels being inspected, if necessary, in accordance with the GSDCV Kennel Inspection Regulations. (4) In the 12 months prior to this date l have not bred a litter which was ineligible for Puppy Listings. **** By accepting the above declaration, you confirm your compliance with the Puppy Listing Regulations.